The MP TET 2019 application form will be available on the official website of VYAPAM. Candidates will have to give all the details about their name, address and the information of their educational qualifications. Candidates will have to upload the scanned photo and signature in the application form. Pay the application fee thru the online mode. Candidates will get the registration number and the password which they will have to save for the future reference. The candidate age should be between 18 to 35 years. Candidate should be passed diploma Degree from recognized University and aspirant should be pass 12th Class with 50% marks from recognized board. Visit the link to apply on the official website which says MP TET 2019 Online Application form and click on the link. Register yourself and log in with user id and password. Enter all the required details of your identity and education qualification. And then pay an application fee and click on submit button. Take a printout of application form for application number. All MP TET candidates can Download the Admit Card from Madhya Pradesh TET Exam official website before 15 days of the exam date. The candidates applying must pay the application fees as. Application Fee for General / OBC is Rs.600/- for single Paper and Rs.1200/- for both papers. Application Fee for SC/ST is Rs.300/- for single Paper and Rs.600/- for both papers. There will be different written tests for both posts. For the respective primary and upper primary level teachers’ posts, candidates will have to qualify the respective examinations. Paper-I syllabus: To become teachers for classes I to V in Madhya Pradesh primary school. 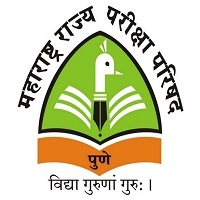 Paper-II Syllabus: To become teachers in Madhya Pradesh upper primary school for classes between VI and VIII. Paper-I and Paper-II: For those candidates who are interested in teaching from class I to Class VIII in Madhya Pradesh school. They can appear for both the papers and have to get qualifying marks to be considered for all the classes. The admit card will be available on the official website of VYAPAM. One or two weeks ago of the commencement of the examination, candidates will be issued admit card. It is necessary for the applicants to take the printout of admit card and take that to the examination center at the time of the exam. The exam conducting authority will not send admit card by post. The result will be published thru the official website. After the commencement of the examination, the result of the examination will be published. After the verification of their educational certificates, all the successful candidates will be given the appointment letter. Candidates can check Answer key of MP TET after the exam. To avail notifications, admit cards, hall tickets, important dates, Application forms candidates have to refer official website. Can I apply for yet upper level exam if I didn’t B.ed but passed m.sc chemistry. 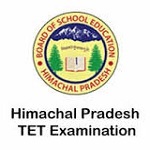 Can I apply for tet upper level exam if I didn’t B.ed but passed m.sc chemistry.